What is Cream Silk Triple Expert Rescue and how is it different from the regular (rinse off) Cream Silk conditioner? Cream Silk Triple Expert Rescue is a daily treatment conditioner inspired by the power of three (3) expert treatments - (1) hair spa for damage repair, (2) hot oil for softness, and (3) keratin for smoothness and shine. This formulation is specifically designed to rescue even severely damaged hair in just 1 wash by combining the intense nourishment of both a regular conditioner and hair treatment in one product. Cream Silk Triple Expert Rescue comes in a silver tube with four (4) different variants. What is Cream Silk #SummerHairExpert all about? What is it trying to convey? Cream Silk #SummerHairExpert is all about getting the most out of summer without having to worry about the 3 most common signs of sun-damaged hair (dryness, dullness, frizz). 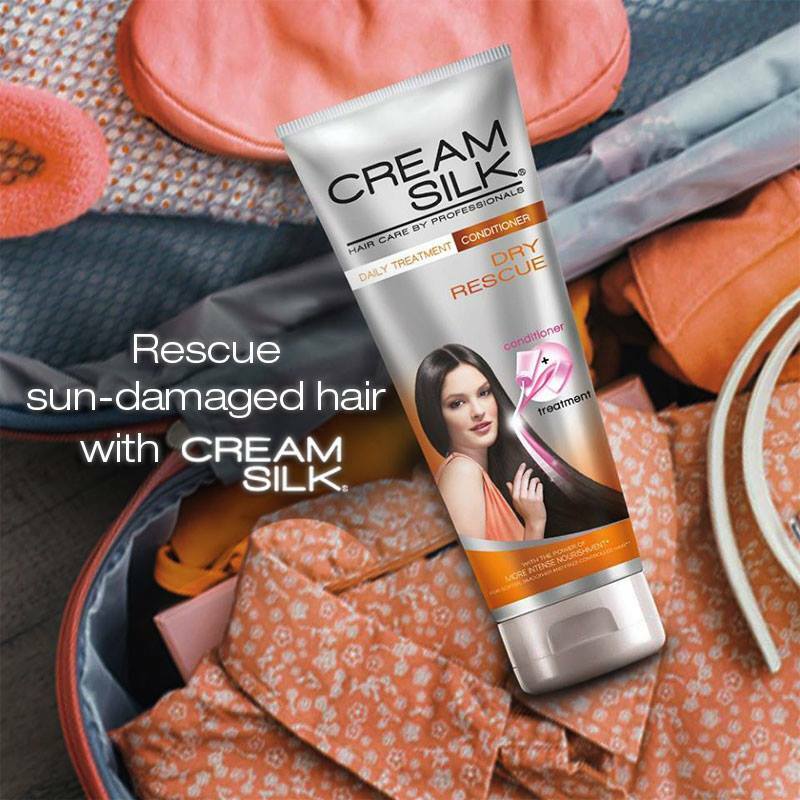 Cream Silk, being the #1 Hair Brand in the Philippines, uses its expertise and understanding of Filipina hair to help rescue hair from severe sun-damage with the power of its three expert treatments. Summer is the perfect intersection of beauty, travel and fashion. Who is the Cream Silk woman? The Cream Silk Platinum woman knows what she wants and works to make it happen - no compromises. 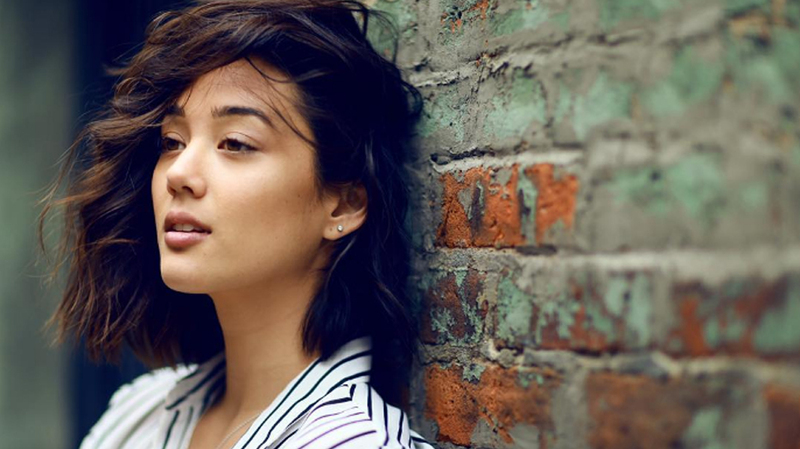 She is modern and trendy, and her busy lifestyle doesn't keep her from being in the know. She is self-confident and values her beauty. Just as she is willing to invest in her own interests, she is willing to invest in and seek out beauty treatments and products to make sure that her lifestyle never ever ever EVER come at the cost of her own beauty. For her, summer is the season to see and be seen. Months have gone into choosing the right sunny destination, the best picture perfect scenery, and of course every single summer OOTD. But all that fun under the sun, means sun damage for her hair. She needs a product that can give her expert care, wherever she is, whenever she needs it. Tell us about Kim Jones and how she was chosen to represent Cream Silk Triple Expert Rescue. Kim Jones is the epitome of a Cream Silk Platinum woman, being the influencer, and digital trailblazer that she is, and given the kind of lifestyle she lives. She is an authority in the areas of beauty, travel, and fashion. Kim is the penultimate summer girl, who knows how to enjoy spending time under the sun without letting sun damaged hair get in the way. What are the different variants?